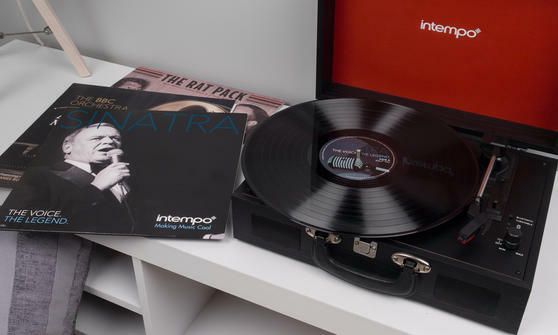 Play all your favourite songs on vinyl or using your Smartphone with this fantastic Intempo turntable featuring Bluetooth capabilities. 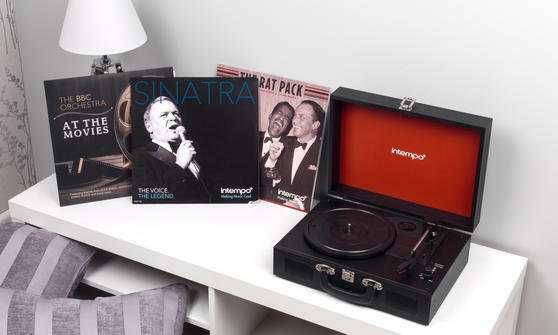 In a retro suitcase design with built in speakers, the turntable is easily portable so you can take your music with you, while the rechargeable battery enables you to play your music wirelessly. 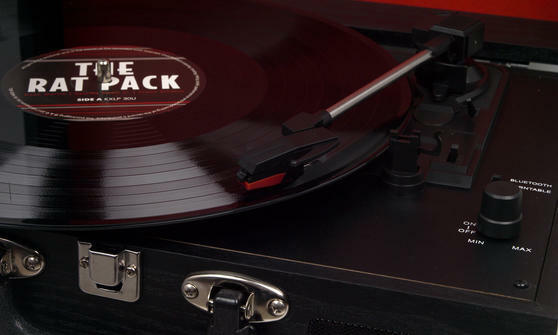 The three speed turntable can play 33, 45 and 78 rpm records and easily switches between modes so you can play music through your Smartphone or tablet using Bluetooth. 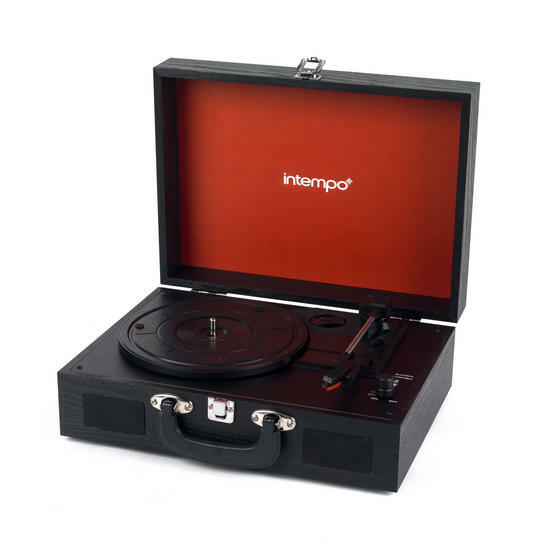 Enjoy listening to your old and new vinyl records on this stylish Intempo audio turntable featuring a wood effect retro design. 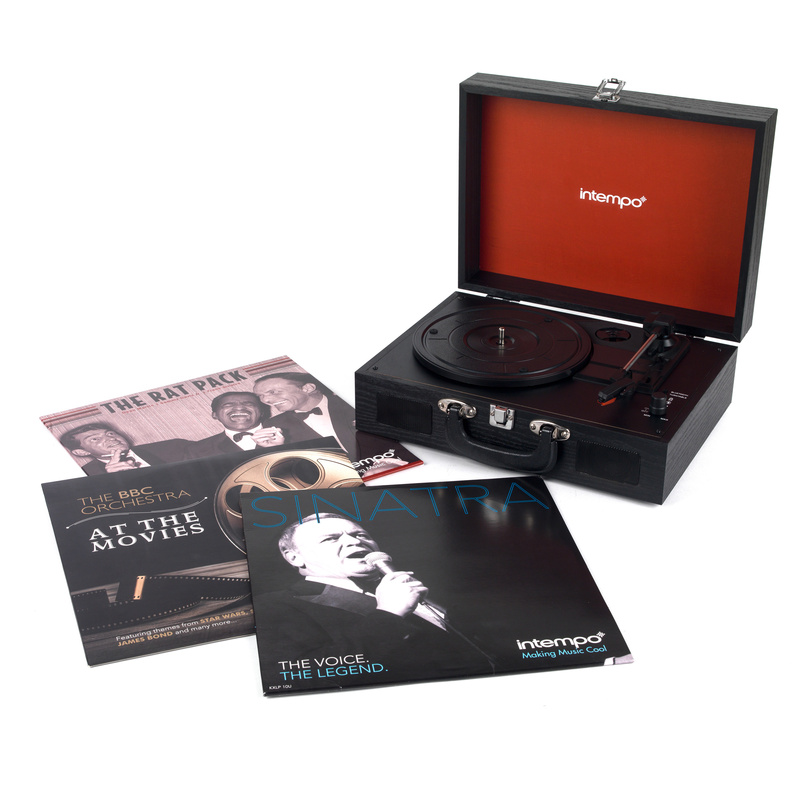 The three speed turntable can play 33, 45 and 78 rpm records and has two high quality 3 W built in speakers for great sounding music. 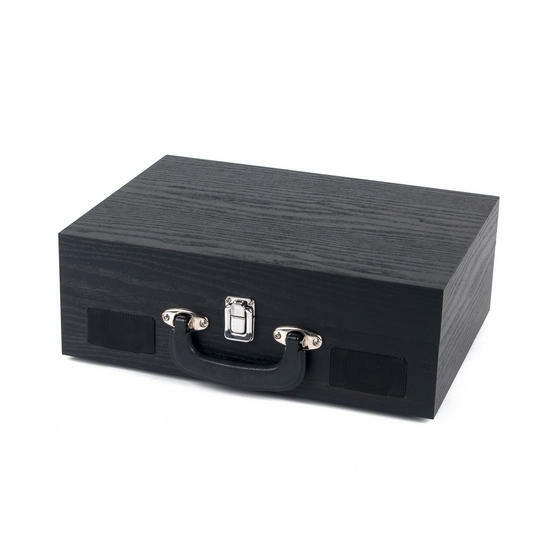 Measuring 35 x 25.5 x 12 cm, it is conveniently sized, brilliantly portable and even has a handle which makes it very easy to carry. 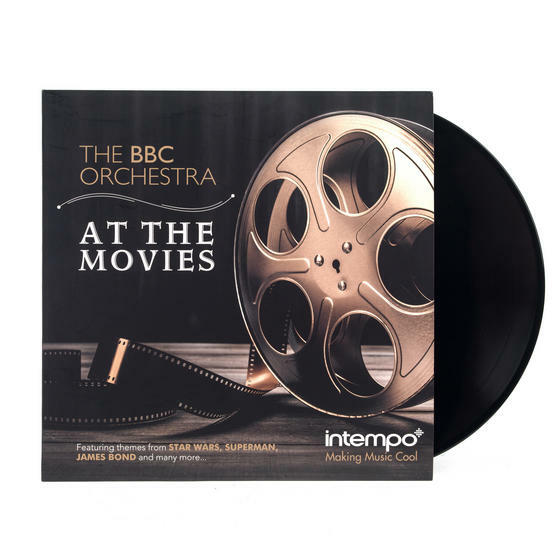 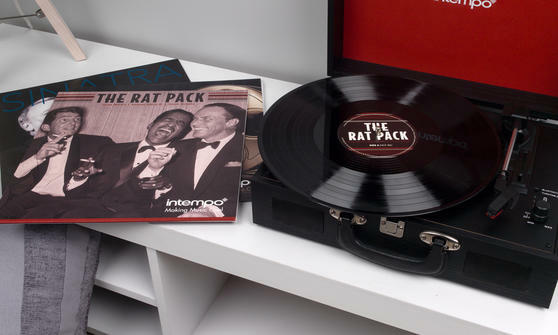 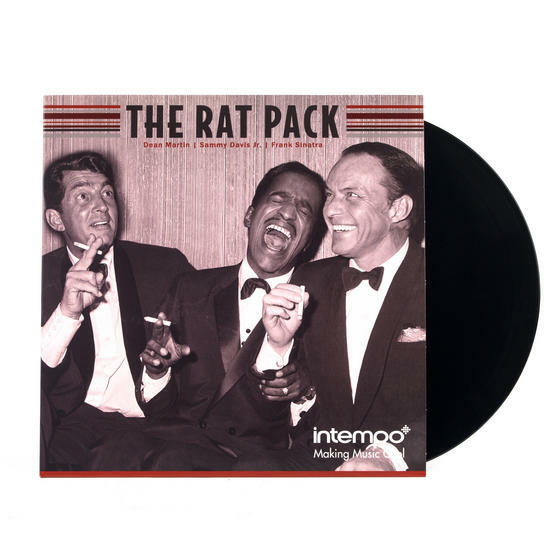 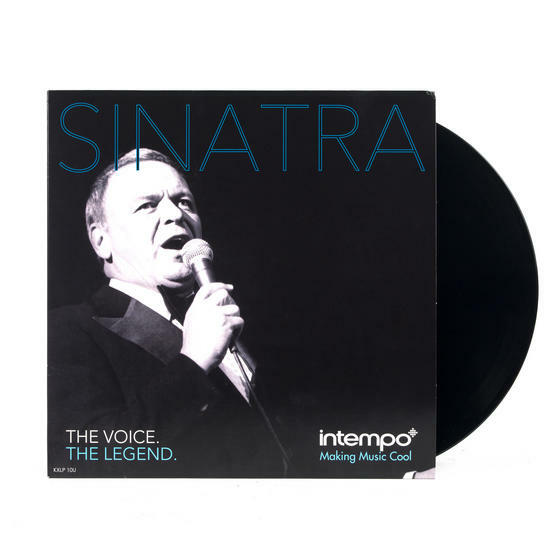 Comes complete with three vinyls including tracks from Frank Sinatra, BBC Orchestra and The Rat Pack.